Dell recently announced its new Alienware powerful gaming laptop models which is based on Intel’s next generation Ivy Bridge platform, named Dell Alienware M18X R2.The new Dell Alienware M18X R2 Laptop series will be available in two colors (shades):Black and Red. The new Dell Alienware M18X R2 gaming laptop equips a 18.4-inch LED-backlit display with Full HD 1920 x 1080 native resolution and is powered with variety of quad-core processor options includes 2.3GHz Core i7-3610QM, a 2.6GHz i7-3720QM and a 2.7GHz i7-3820QM processor. Dell Alienware M18X R2 gaming laptop Graphics option includes either of two AMD Radeon HD 7970M (CrossFire), NVIDIA GeForce GTX 660M or 675M in SLI graphics.Alienware M18X R2 also housed with 2GB/4GB/8GB of RAM and for storage memory options includes up to 750GB hard drive (7200rpm) or up to 512GB solid state drives. Other Dell Alienware M18X R2 gaming laptop Features includes an optical drive, Wi-Fi and multi-channel audio codec along with all other basic features.As of today Dell is yet to announced the price details of it new Dell Alienware M18X R2 gaming laptop. 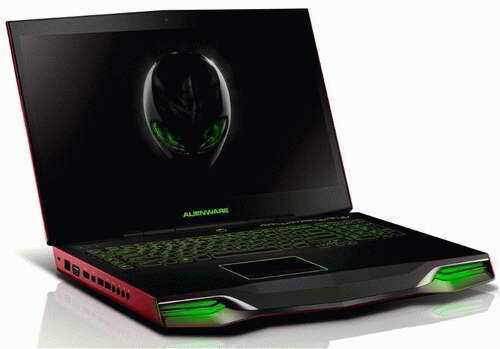 Tags:- Dell Alienware M18X R2 gaming laptop details, Dell Alienware M18X R2 gaming laptop complete details, Dell Alienware M18X R2 gaming laptop whole specifications, Dell Alienware M18X R2 gaming laptop specs summary, Dell Alienware M18X R2 gaming laptop images, Dell Alienware M18X R2 gaming laptop features, Dell gaming laptop, Alienware latest models, Dell Alienware M18X R2 gaming laptop price details. LG recently made the official introduction of its all new smartphone in Germany, the LG Optimus True HD LTE.The Smartphone is previously named as LG P936 Optimus LTE. The new LG Optimus True HD LTE comes equipped with a 4.5-inch touchscreen True HD IPS display with 1280 x 720 pixel resolution and is powered with a 1.5GHz dual-core processor along with 1GB RAM and 4GB internal memory. Other LG Optimus True HD LTE Smartphone features includes 8MP rear autofocus camera with LED flash, 1.3 megapixel camera front end camera for video calls, LTE, HSPA+, HDMI, Wi-Fi Direct, DLNA and a microSD card slort (16GB already included) that supports upto 32GB card. 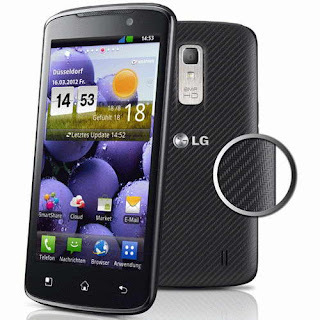 New LG Optimus True HD LTE Smartphone runs on Android 2.3 Gingerbread OS and comes in only black shade(color) option.The True HD LTE Smartphone weighs 135 grams and its dimensions are 133.9 x 67.9 x 10.48 mm. The price details of Optimus True HD LTE smartphone in Europe market is not revealed yet. Tags:- LG Optimus True HD LTE (P936) Smartphone specifications, LG Optimus True HD LTE (P936) Smartphone features, LG Optimus True HD LTE (P936) Smartphone launch, LG Optimus True HD LTE (P936) Smartphone images, LG Optimus True HD LTE (P936) Smartphone specs, LG Optimus True HD LTE (P936) Smartphone details. Google recently started the sale of all new Samsung Galaxy Nexus Smartphone(HSPA+) in US market through Google Play.US customers now able to purchase the Galaxy Nexus (HSPA+) smartphone unlocked version via straight-to-consumer sales channel of Google Play with a price of $399. The new Samsung Galaxy Nexus(HSPA+) smartphone comes equipped with a 4.65-inch touchscreen display with HD 1280 x 720 resolution and runs on Android 4.0 OS and can easily work with 3G T-Mobile and AT&T network. 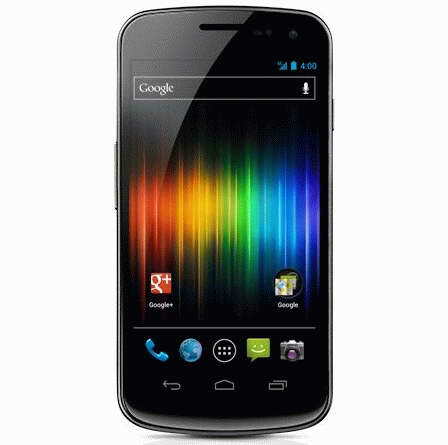 Other Samsung Galaxy Nexus(HSPA+) smartphone Features includes 5 megapixel rear-facing camera, a front-facing 1.3MP camera, 16GB of internal memory and also pre-loaded with Google Wallet. Tags:- Samsung Galaxy Nexus(HSPA+) smartphone price, Samsung Galaxy Nexus(HSPA+) smartphone launch, Samsung Galaxy Nexus(HSPA+) smartphone features, Samsung Galaxy Nexus(HSPA+) smartphone specifications, Samsung Galaxy Nexus(HSPA+) smartphone details, Samsung Galaxy Nexus(HSPA+) smartphone images, Samsung Galaxy Nexus(HSPA+) smartphone us launch, Samsung Galaxy Nexus(HSPA+) smartphone us price. Research In Motion (RIM) recently made the officical introduction of its all new smartphone in India.The new BlackBerry Curve 9220 smartphone now available for sale in India with a price tag of Rs. 10,990 (about $211). The new budget-friendly BlackBerry Curve 9220 smartphone equips a 2.44 inches display with a resolution of (QVGA) 320 x 240 pixels and is designed with a full physical QWERTY keyboard.The Curve 9220 smartphone comes with a 512MB RAM along with 512MB internal memory and expandable capacity of 32GB with microSD card. 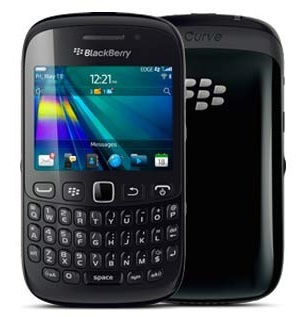 New BlackBerry Curve 9220 smartphone runs on latest BlackBerry OS 7.1 and is designed to work in GSM / EDGE (lack 3G connectivity) networks.Other BlackBerry Curve 9220 Features includes 2-megapixel camera, Wi-Fi 802.11b/g/n, FM tuner, and a 3.5mm headphone jack. The BlackBerry Curve 9220 smartphone weighs 102 grams and has a dimension of 109 x 60 x 12.7 mm. In terms of battery life, the 1450 mAh battery provides almost 7 hours of talk time life or 18 days on standby mode. Tags:- BlackBerry india, BlackBerry 7.1 OS smartphone in india, BlackBerry Curve 9220, BlackBerry OS 7.1 smartphone, Curve 9220, BlackBerry Curve 9220 smartphone India price, BlackBerry Curve 9220 smartphone price in india, BlackBerry Curve 9220 smartphone india availability, BlackBerry Curve 9220 smartphone features, BlackBerry Curve 9220 smartphone specs, BlackBerry Curve 9220 smartphone details, BlackBerry Curve 9220 smartphone images, india price of BlackBerry Curve 9220 smartphone. Acer recently made the availability of the Olympic Edition of its Acer Iconia Tab A510 Tablet, named Acer Iconia Tab A510 Olympic Edition tablet in US Market.Acer Store and Amazon started the sale of new Acer Iconia Tab A510 Tablet for a price tag of $449.99. Lets look into the specification of Acer Iconia Tab A510 Olympic Edition tablet.The new Acer Iconia Tab A510 tablet comes equipped with a 10.1-inch HD multi-touch display with WXGA 1280 x 800 resolution and is powered with a quad-core 1.3GHz NVIDIA Tegra 3 processor along with 1GB of RAM and 32GB of internal memory. Other Acer Iconia Tab A510 Olympic Edition tablet features includes 5 megapixel autofocus camera on rear end, 1 megapixel front-facing camera, E-Compass, G-Sensor, L Sensor, Gyro-meter and connectivity options like Bluetooth 2.1, 802.11b/g/n WiFi, Micro-HDMI and USB 2.0 ports. The all new Acer Iconia Tab A510 Olympic Edition tablet runs on Google Android 4.0 Ice Cream Sandwich OS and housed with a rechargeable 9800mAh Lithium-ion polymer battery. Tags:- Acer Iconia Tab A510 Olympic Edition tablet features, Acer Iconia Tab A510 Olympic Edition tablet specs, Acer Iconia Tab A510 Olympic Edition tablet price, Acer Iconia Tab A510 Olympic Edition tablet details, Acer Iconia Tab A510 Olympic Edition tablet us launch, Acer Iconia Tab A510 Olympic Edition tablet us price, Acer Iconia Tab A510 Olympic Edition tablet images. Samsung announced a special event in London, UK, on the coming May 3 in which they most probably present the next generation of Galaxy smartphone ie Samsung Galaxy S III smartphone. The new Samsung Galaxy S III smartphone comes equipped with a 4.8-inch Super touchscreen Super AMOLED HD Plus display with 1280 x 720 pixel resolution and is powered by quad-core Exynos processor running at 1.4 GHz processor along with a 1GB of RAM and 32GB internal memory. 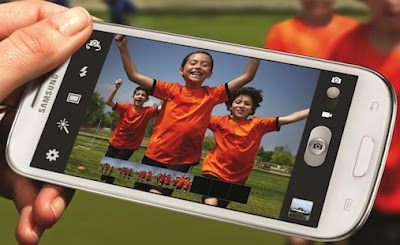 Other Samsung Galaxy S III smartphone Sports a 8MP rear-facing camera with LED flash and 1080p video recording at 60fps, 1.9-megapixel front camera (720p video recording). Samsung Galaxy S III smartphone runs on Android 4.0 Ice Cream Sandwich OS. Connectivity and expansion Features of Galaxy S III includes 4G, Wi-Fi, Bluetooth 4.0, NFC technology, HSPA (up to 42 Mbps) network, MicroUSB 2.0 port, HDMI, a GPS receiver with A-GPS, a 3.5 mm audio jack, FM radio, TV Out, USB-on-the-go, TouchWiz 4.0 UI, DivX/XviD codec support, built-in accelerometer, multi-touch input, proximity sensor, gyroscope sensor, Swype text input and RGB light, Weighs 133gms and 8.6mm thick and a rechargeable 1750 mAh battery. 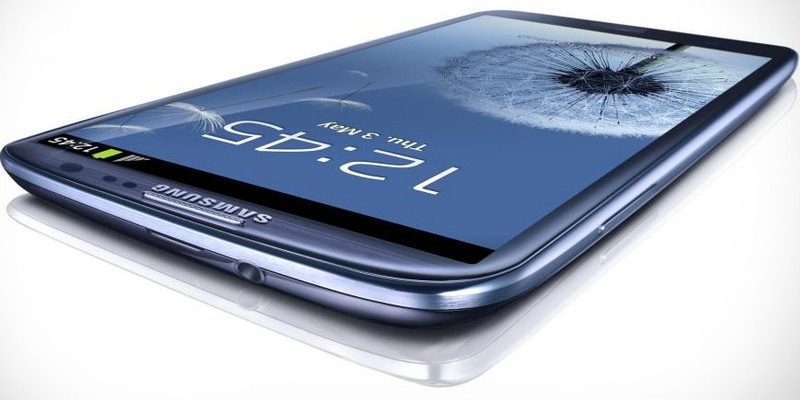 The Samsung Galaxy S III will be available for purchase starting on May 29 in Europe. Launches in Asia, the Middle East and Africa will follow. A 4G version will go on sale in the US and South Korea in the summer. Pricing is unknown. Tags:-Samsung Galaxy S III smartphone features, Samsung Galaxy S III smartphone specs, Samsung Galaxy S III smartphone details, Samsung Galaxy S III smartphone images, Samsung Galaxy S III smartphone specifications, Samsung Galaxy S III smartphone launch details. 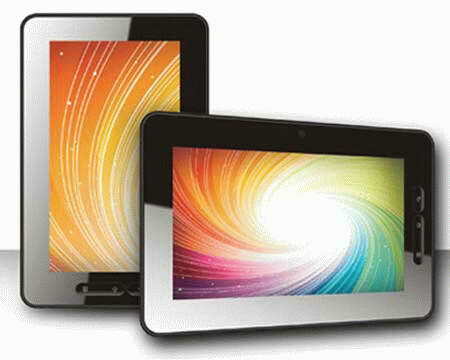 Samsung recently announced the sale of its all new tablet, named Samsung Galaxy Tab 2 10.1 tablet. According to the information Galaxy Tab 2 10.1 tablet will be available in US market from May 13th, 2012 with a price tag of $399.99 along with free 50GB of storage with Dropbox for 1-year subscription. 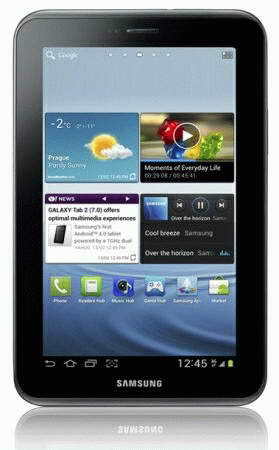 All new Samsung Galaxy Tab 2 10.1 tablet as the name indicates packed with a 10.1-inch touchscreen PLS display with 1280 x 800 resolution and is powered with dual-core 1GHz Texas Instruments OMAP processor along with 1GB RAM module.The tablet comes with 16GB to 32GB of internal storage options. Other Samsung Galaxy Tab 2 10.1 tablet features includes a 3 megapixel rear-facing camera, VGA front-facing camera, Bluetooth 3.0, HSPA+ support, A-GPS, 802.11b/g/n WiFi and a microSD card slot that enabling up to 32GB memory expansion. 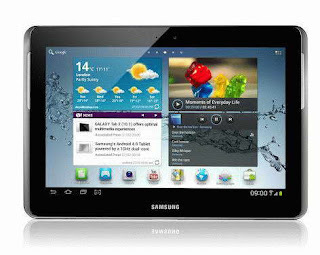 Tags:- Galaxy Tab 2 10.1 tablet price, Galaxy Tab 2 10.1 tablet details, Galaxy Tab 2 10.1 tablet features, Galaxy Tab 2 10.1 tablet launch, Galaxy Tab 2 10.1 tablet US availability details, Galaxy Tab 2 10.1 tablet images, Galaxy Tab 2 10.1 tablet specs, Galaxy Tab 2 10.1 tablet images. Samsung recently introduced the smaller version ie 7-inch version of its all new tablet, Samsung Galaxy Tab 2. The new Galaxy Tab 2 7.0 tablet now available for pre-order in US market for a price tag of $249.99 and the availability will start by April 22nd, 2012. New Galaxy Tab 2 7.0 tablet equips a 7-inch touchscreen display with 1024 x 600 pixel resolution and is powered with 1GHz dual-core processor.The tablet runs on Android 4.0 Ice Cream Sandwich OS and has an internal memory of 8GB. Other features of Galaxy Tab 2 7.0 tablet includes 3MP rear-facing camera, front VGA camera, Bluetooth 3.0, WiFi 80211 b/g/n, and microSD card support.The tablet includes a 4,000mAh battery.Galaxy Tab 2 7.0 tablet weighs just 0.76 pounds and its dimensions are 7.6 x 4.8 x 0.41 inches. Tags:- Galaxy Tab 2 7.0 tablet price, Galaxy Tab 2 7.0 tablet details, Galaxy Tab 2 7.0 tablet features, Galaxy Tab 2 7.0 tablet launch, Galaxy Tab 2 7.0 tablet pre-order details, Galaxy Tab 2 7.0 tablet images, Galaxy Tab 2 7.0 tablet specs, Galaxy Tab 2 7.0 tablet images. 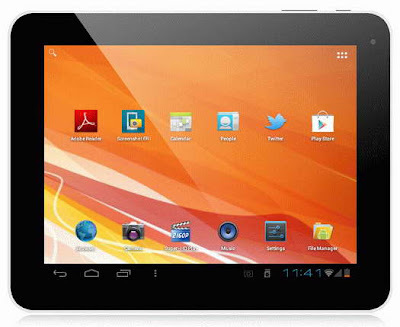 Micromax recently introduced their first Android tablet in Indian market, named Micromax Funbook.The new Micromax Funbook Tablet comes with a very budget friendly price tag of around INR 6,499 (about $128). The new Micromax Funbook Tablet comes equipped with a 7-inch touchscreen display with 800 x 480 resolution and is powered with a 1.2GHz ARM Cortex A8 processor and a dual Mali 2D/3D GPU.The Micromax tablet also houses 512MB RAM and 4GB internal memory. Other features of Micromax Funbook Tablet includes front-facing 0.3MP camera, WiFi 802.11b/g, USB 2.0 (dongle), HDMI port, gravity, accelerometer sensor, a 2,800mAh battery and a microSD card slot (that supports up to 32GB).Micromax Funbook Tablet runs on Android 4.0 Ice Cream Sandwich OS. Tags:-low priced tablet, india low priced tablet, low priced android tablet,tablet price less than 10000, micromax low priced tablet, Micromax Funbook Tablet price, Micromax Funbook Tablet price in india, Micromax Funbook Tablet features, Micromax Funbook Tablet specs, Micromax Funbook Tablet details, Micromax Funbook Tablet launch, Micromax Funbook Tablet india price tag. Eken recently introduced a new budget-friendly Android tablet, named Eken A90. The new Eken A90 comes with a very low price tag of $160. Eken A90 Tablet comes equipped with a 9.7-inch capacitive touchscreen display with resolution of 1024 x 768 pixels and is powered with a 1.2GHz ARM-based processor along with a 512MB DDR3 SDRAM and Internal memory options of 4GB/8GB/16GB (1GB RAM is optional). New Eken A90 Tablet runs on Android 4.0 Ice Cream Sandwich OS and is featured with 0.3 megapixel front-facing camera, a 2MP camera at rear end, Wi-Fi 802.11a/b/g/n, a microSD card slot, orientation sensor, two MicroUSB and Mini USB ports, HDMI output and 3.5mm headphone jack. The Eken A90 Tablet houses a 5000 mAh lithium battery.The tablet weighs 520 grams and has a dimension of 244 x 190 x 7-11 mm. Tags:- low cost tablet, low priced android tablet, low priced tablet, budget-friendly Android tablet, Eken A90 Tablet features, Eken A90 Tablet details, Eken A90 Tablet images, Eken A90 Tablet price tag, price of Eken A90 Tablet.